Brown Hairstreak. © 2019 Gillian Thompson. A female Brown Hairstreak basking at Bernwood Meadows. © 2008 - 2019 Steven Cheshire. A male Brown Hairstreak basking at Ryton Wood Meadows. © 2011 - 2019 Terry Southgate. A female Brown Hairstreak basking in the canopy of a Blackthorn hedgerow at Bernwood Meadows. © 2008 - 2019 Steven Cheshire. A final instar larva (caterpillar) of the Brown Hairstreak butterfly feeding on Blackthorn (Prunus spinosa). © 2011 - 2019 Steven Cheshire. A Brown Hairstreak ova (egg) on Blackthorn (Prunus spinosa). © 2011 - 2019 Steven Cheshire. The Brown Hairstreak is a single brooded species being on the wing from late July to early September, with the males emerging first. The elusive adults occur in low numbers over large areas. Males may congregate around a 'master tree', usually an Ash tree near the breeding colony. The butterflies feed primarily on aphid honeydew which coats the leaves of Ash trees although adults can sometimes be seen feeding on flowers. The females may be found feeding on Fleabane (Pulicaria dysenterica), Hemp Agrimony (Eupatorium cannabinum) and Brambles (Rubus fructicosus) between periods of egg laying. The adult male Brown Hairstreak lacks the golden orange flashes on the upper-forewings shown in the photo right. Areas of extensive hedgerows or woodland edges where Blackthorn is present and where mechanical hedgerow flailing trimming occurs is required. Mechanical flailing of hedgerows during the autumn months has had a devastating effect on this species with the number of eggs which hatch the following spring being greatly reduced and causing local and regional extinctions as a result. This species could be much more widespread i our region if it was not for the extensive and often misguided use of the hedge flail by landowners and farmers. 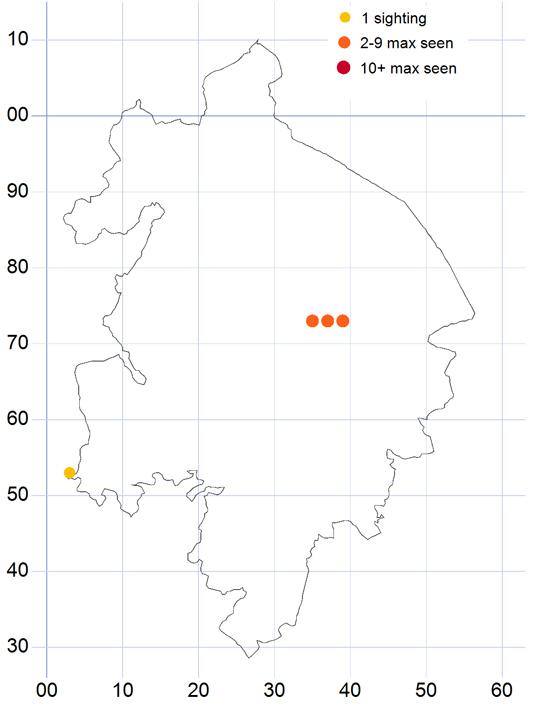 It is possible that the Brown Hairstreak may occur in very small numbers in the south Warwickshire area. 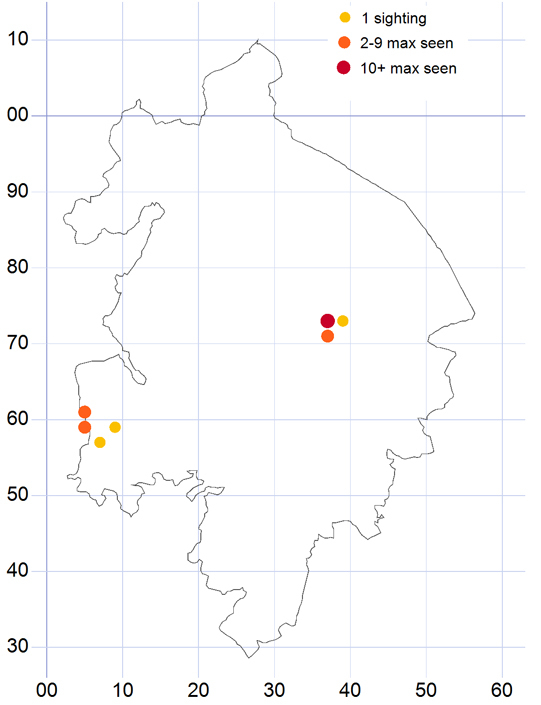 Recent egg searches on the border with Worcestershire have resulted in some eggs being found in our region although adult butterflies are yet to be recorded. 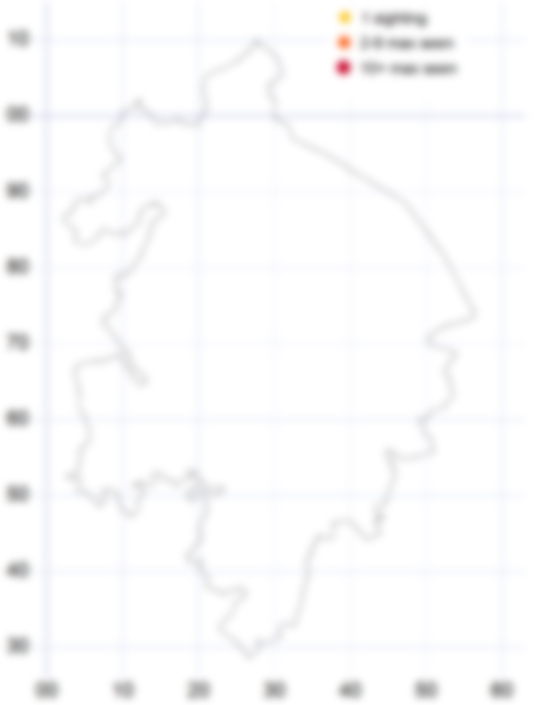 In 2010 a single adult was observed at King's Coughton, confirming the presence of the species on the Warwickshire / Worcestershire border. The larvae of the Brown Hairstreak feed on Blackthorn (Prunus spinosa). 27-07-2018 by Ivor Davies & Helen Burnett at Ryton Meadows. 10-08-2017 by Ivor Davies at Ryton Wood Meadow. 07-09-2015 by Mike Slater at Ryton Wood Meadows. 27-08-2013 by Gillian Thompson at Ryton Pools Country Park. 19-08-2012 by Gillian Thompson / Mike Slater at Ryton Wood Meadows and Ryton Pools CP. 20-07-2011 by Steve Batt at Ryton Wood Meadows BC Reserve. 15-08-2010 by G. Morley at King's Coughton. *First sighting dates for the Brown Hairstreak are based on records submitted online only. These dates are not updated retrospectively to include records submitted to the branch recorder in other forms.